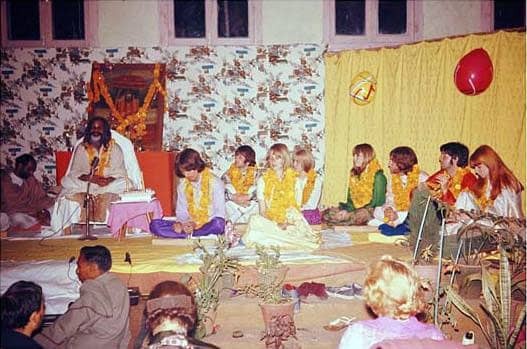 The Beatles spent several weeks in early 1968 in Rishikesh, India, studying Transcendental Meditation with Maharishi Mahesh Yogi. During the stay, on 25 February, George Harrison celebrated his 25th birthday. 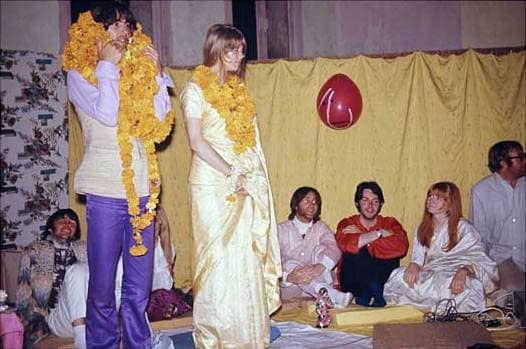 A birthday party was held in Harrison's honour, and was attended by the various guests at Maharishi's ashram, including The Beatles and their wives. The party included a sitar performance by Harrison, communal chanting, and a firework display. Maharishi gave Harrison a gift of an upside-down plastic globe. He presented it to the Beatle with the words: "George, the globe I am giving you symbolizes the world today. I hope you will help us all in the task of putting it right." Harrison turned the globe over and said "I've done it! ", to the applause of the other guests.